The Ovation 1657 Anniversary has a bizarre story: designed in 1977 to celebrate the 10th anniversary of the company, was in fact put for sale in 1979 and remained until late 1982 (the last examples received the new Kaman bar so they lack the elegant carved trussrod cover). This one is a fantastic looking (and smelling!) 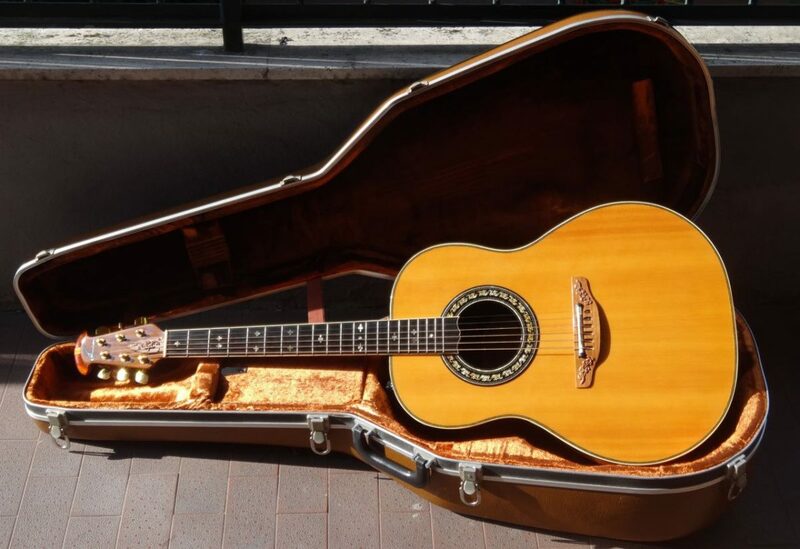 guitar in a rare natural finish and unbelievable mint condition. Bought in August 2014 thanks to Kevin Grant, who shared the eBay sale on The Ovation Instruments Collectors Board. When I received the guitar it produced a somhow weak, rubbery sound, but I noticed that the trussrod was fully loose therefore the neck had a significant bow at the body joint. I started tightening the trussrod, half turn per day, until the neck went back to a perfect position. Then I shimmed the bridge to obtain a correct action and stringed it with Martin Phosphor Bronze light gauge. Both the action and the sound changed dramatically: now this 1657 plays like an electric and sounds awesome, producing a persistent, sparkling tone, with solid basses and a pleasant twang. I consider it one of the best performing guitars of my herd, if not the best. Aside from this, I love the Anniversary for the herringbone trim, the different rosette, the fine neck inlays, the carved bridge and trussrod cover. In my opinon is one of the best early Ovation designs. 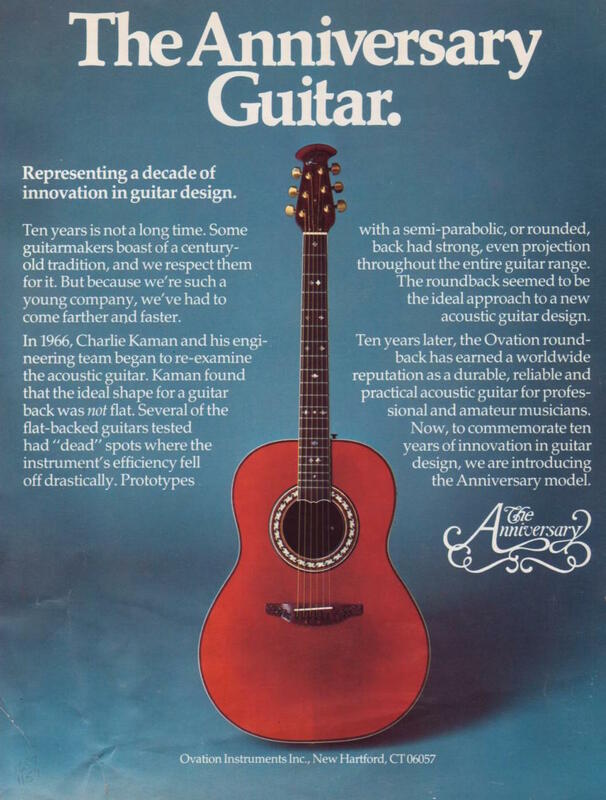 See the original brochure and an interesting thread on the Ovation Fan Club forum.